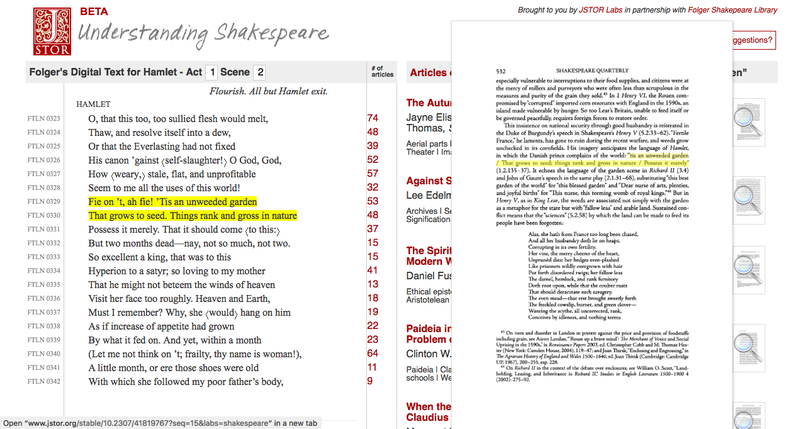 The links below will take you to an easy to print version of a timeline of English Literature. Alongside other important moments in English Literature and the English language, it includes the dates of the monarchs of England and Great Britain, key literary and artistic movements, stages of the English language, as well as the dates of production/publication of Macbeth, Strange Case of Dr Jekyll and Mr Hyde, An Inspector Calls, and the poems from the ‘Power and Conflict’ cluster of the AQA Anthology. Obviously, you can edit these texts to fit with those that your pupils are studying. The dates of the movements are up for debate, of course, as different commentators will put different dates on these periods. You can change them as you see fit. You can also add any more key moments to the timeline. I kept it to these as I didn’t want it to get too ‘busy’. This is for a display of landscape A4 sheets measuring 7 x 4 (28 sheets in total). This resource takes ideas from displays shared with me over the years by colleagues, so I don’t claim originality. I’ve included links to an uneditable PDF version, as well as an editable Powerpoint version. If you want to use the editable version, the fonts in use are Gill Sans for most of the text, and Mexcellent (regular) for the literary movements. If you notice any errors, aside from arguments over dates, please do let me know in the comments below. I’m looking at you, History teachers. NB. As with any of the resources I share, I stipulate that I don’t give this freely to anyone who chooses to sell resources anywhere online. If you are such a person, I ask you kindly not to download this. Obviously, you can ignore this request as I have no way of monitoring this. But if you do, shame on you for ignoring my request. As for anyone else, thanks for keeping the sharing of resources completely free. You are wonderful people. TES Resources has a problem. Its resource sharing platform is riddled with copyright infringements. What are they going to do about it? Well, they are going to ask you to add to the already burgeoning workload of hardworking teachers and get you to police it. As if you don’t already have enough to do. TES Resources is a great platform. It allows teachers to share resources freely with hundreds of colleagues up and down the country. It truly exemplifies the collegial spirit of teaching. Well, it did. It did until July 2014, when they announced that teachers would be able to start selling the resources they were already sharing for free. They sold this move as ‘teacher empowerment’. Weirdly, this announcement didn’t mention the cut that they were taking from these transactions. Now, I have been very outspoken about the selling of resources on social media in recent times, but this post isn’t about my moral objections to teachers selling resources to one another. This week, it was brought to my attention that a resource that I shared freely on this blog had actually been copied and was being sold on TES Resources for £3 a pop. It had been on the website for nearly 2 years and had received a number of downloads. I should point out that the aim of this post isn’t to vilify the individuals concerned in this practice. Not because the practice isn’t reprehensible, but rather that, in the spirit of charity, I am happy to concede that some people may do this in complete ignorance that they have taken this idea from someone or that there is a victim of their actions. People make mistakes, and if they show contrition for those mistakes, I’m happy to move on. However, like the mythological hydra, as soon as TES had sliced off this head, another one grew back in its place. It was brought to my attention the next evening that another of my resources that I’ve shared freely was on sale for £4 on the site. And I am not the only one, large numbers of people have offered me evidence that the TES platform is riddled with people selling others’ resources. Several times. Free resources sold, other Ts have bought. Disgusted. Said resources removed from TES. On my website only. Still free. A few years back (before TES allowed the sale of resources) many maths resources included scans from textbooks. So this isn't a new problem. My other half has given up checking TES/eBay for stolen resources. His own free sharing site predates TES resources. Lots stolen. Not had anything of mine but see loads of Internet images on advertised images; breech of copyright laws. Surely @tes are responsible? Me too. I'll be removing all my (FREE) resources from @TesResources @tesEnglish @tes next week. Disgusted at what TES has turned into. @tes need to stop charging before teachers go elsewhere. We shoud all share freely as a supportive learning community. Not personally but taking mine down out of protest. Zero quality control. Zero copyright control. Like many others, I stopped bothering with TES when they started to charge. Now I share on Facebook and here. This might suggest that more sold resources on TES = fewer free ones. And there are plenty more responses where all these came from. I’m sure you get the picture. So what are TES Resources going to do about it. Actually, it’s more what they expect you to do about it. They want you – hardworking teachers, already overburdened with a burgeoning workload – they want you to police the site for them. That’s right. Rather than come up with a way to police this themselves, they are asking us to identify stolen content. Imagine if the police said they wouldn’t deal with antisocial behaviour in your neighbourhood unless you went out and brought the assailants into the police station yourself? Quite how they want busy teachers to do this is beyond me. Do they want us to do a regular search weekly? Monthly? And what should we search for? I produce lots of resources every month – are we supposed to search for everything we’ve ever produced and shared? Do they not get that we are very busy? Have they not read the pages of their own publication, drowning in articles on workload? Why do they think people use the site for resources in the first place? To save time. Now they want to us to use that time to work for them in managing their site, for free. Nope. This is on you, TES. You can’t pass this off onto already overworked teachers. Was this a problem before TES introduced selling? Well, yes, I’m sure people uploaded resources that weren’t their own. But the difference is they weren’t profiting. I share my resources freely, so someone else uploading it means that it will still be shared freely. Okay, so the lack of credit may irk, but that can be easily addressed. What would I do if I were the TES? I’d embrace the collegial nature of the profession and of sharing freely and leave the cynical hawking of resources to other sites. But whatever they do, the responsibility is theirs to kill off this heinous practice on their site. Over to you, TES. This is just a quick post in response to a brief discussion I had earlier. People selling basic resources (PPTs, worksheets, etc.) to teachers actually offends me. 1. It is generally teachers that pay for these out of their own money, not schools. If anyone wants to suggest that it isn’t, then why do these companies sell individual accounts and pay-as-you-go schemes? Teachers spend enough of their money on things like: subject knowledge books, teaching practice books, stationery, printing, class rewards, etc. (I’m sure you can all add plenty of things to this list). Charging them for things they could and should get for free is just exploiting their commitment to their job. 2. If the resources were produced by a jobbing teacher for their classes, the teacher has technically been paid for producing them. And as the state has paid for them, I feel uneasy that they are making extra income from selling them to somebody else working for the state. Why not just sell the pens out of the department stationery cupboard? 3. If the resources were produced specifically to be sold and not to be used in the creator’s classroom at all (i.e., by a business that solely produces resources), then it’s worth asking: are they selling something that has not been tried, tested and developed in a classroom first? How effective is that resource? New/desperate teachers might just assume it is worthwhile and spend money on it anyway. I’d also question the quality of a resource if the incentive for producing it is purely financial. 4. I don’t think there are many off-the-peg resources that can be taken straight from a third party to one’s classroom. Teachers will spend time developing and altering it to suit the needs of their class. I think it is fair to question the quality of a resource that is produced for generic classes, rather than one that is produced for a specific class. 5. Obviously, one could level some of those last criticisms at resources from third parties that one can get for free. The difference is that with free resources one can pick and choose. When you pay for a resource, you have sunk costs into that resource – this is a bias that means you will probably be committed to using it, no matter how good it is. I’ve written about the dangers of sunk costs and consistency before. 6. The resources we create are a product of everything we have learnt as teachers over our careers – they are, in part, ideas that we have picked up from other teachers. Nothing is entirely original. If I were to sell a resource, I may have put the effort into typing up the slideshow or worksheet, but the ideas are partly made up of things I’ve picked up from others. I’d be profiting from something that was given freely to me. Again, that makes me uneasy. 7. Why not just be kind? What you give someone else will benefit other classes – classes the other side of the country, maybe the other side of the world. Even if altruism isn’t enough, what about the reward that your reach as a teacher is even greater than the walls of your own classroom? Doesn’t that give off a lovely glow to bathe in? Please note that this is what my opinion. You may disagree entirely. I am merely responding to those questioning why I feel this way.